Bright Future Advisory - We work for YOUR bright future! Australia calling!! The Australian Government always strive to protect the interests of common people. They are also committed to safeguard interests of prospective migrants. Keeping this thing in mind, they have made stricter qualification requirements for newer MARA agents from 1 January 2018. So, now MARA agents will have to study Graduate Diploma (it was Graduate Certificate earlier) along with hosts of other additional hoops they have to jump before they can independently work. This will raise the standard of the industry as a whole but there will be fewer new MARA agents in the future. The Australian National University has scrapped their whole migration program. What does it mean for the prospective migrants? A standard of service they truly deserve as the dream of settling in a new country is a major decision which involves emotions, finances and hosts of other things. What it means for current migration industry? The average age of current MARA agents is almost 60 years. And the migration industry has undergone its biggest overhaul in last 20-30 years. This means constantly keeping yourself updated. With people in their 60s, it is a very difficult task. So, many MARA agents are deciding to retire early now as they have already made their moolah! What is means to current MARA agents? It simply means that they will have less competition in near future as the supply of new MARA agents will dry up due to newer requirements and also the older people leaving the field early. On top of it, the current Australian legal practitioners will also be impacted come July 2018. So, those who have 10-20 years ahead will be able to reap the benefits of providing service to more clients at a greater remuneration due to less competition. Why this has been enacted by Australian Government? Simply to raise the standard of service and to safeguard innocent clients (intending migrants to Australia) who are duped of their hard earned money by unscrupulous agents. So, it becomes very important to understand how serious the Australian Government is to protect you as a future Australian. Thus, you should take migration advice only from registered MARA agent to get on to the right path to settle successfully in Australia. As July is one month away, we are running a special promotion offering you a discount on our card rate. So, get in touch with us immediately to take advantage of this offer. The fourth benefit that the Australian permanent residents will enjoy is the health care entitlement. As a permanent resident of Australia, you will enjoy the privilege of free medical benefits run by the government called Medicare. Under Medicare, you receive free treatment at a Doctor’s clinic which accept Medicare. Some people also get approved Medicare Card depending upon your income etc. which entitles you to subsidised medicines. Also, your kids may be eligible for dental benefits with a yearly cap. Fifth advantage is regarding social security benefits. The Australian Government recently changed the rules and now the permanent residents must hold for a period of minimum two years before they are entitled to receive social security benefits like unemployment, medical and student loan benefits that are offered by Australia’s Centrelink. Centrelink is the Australian Government agency which deals with eligibility for various benefits which Australian PRs/citizens are eligible for. Sixth Benefit: Children of PRs born in Australia directly get Australian citizenship. Those who arrive directly on PR have to wait for four years before they become eligible for Australian citizenship. Australian passport is 6th most powerful passport in the world giving you access to visit 183 countries of the world visa-free. Indians have access to travel 58 countries visa-free. Other benefits include that they can sponsor your relatives (depends on your eligibility), only PRs can become MARA agents, and they can travel and apply for work rights on arrival in New Zealand. There are some other benefits as well but I have listed major ones only here. Hope you enjoyed the blog and some of you may have decided to make the move now to get your Australian PR. So, don’t wait and contact us immediately for all your Australian visa needs. Please like and follow our Facebook page so that you do not miss any important feed from us. Have a very Bright Future!! People often ask me what are the benefits of migrating to Australia? So, I am starting a series of blogs here where I will be listing the benefits of Australian PR. The most obvious advantage of Australian PR is that you can move and permanently settle in any Australian city you like (if not through State or Regional program). You won’t need visa for next five years to come and leave Australia. After that time, you either get Australian citizenship (if you qualify) or get your PR renewed (again if you qualify). Please contact us if you would like to apply for either of the two scenarios. The second biggest advantage of Australian PR is that you can apply for any jobs in Australia. But some government jobs are only for Australian citizens, so you have to wait till you reach that stage. Australian employers give preference to Australian PRs as they are looking for long term prospects. Most of the jobs categorically advertise that only Australian PRs/citizens should apply. So, this give you a huge leg up over the candidates who are not Australian PRs/citizens. Please comment below and I will write blog about how to land job in Australia (remember we are migration agency and not recruiters though). Our aim is to help you in smoothly settling in Australia to our clients specifically or public in general. The third benefit is that your kids can go to public school for free till year 12 ( 10+2 or Intermediate in Indian terms). You too can go to study and you will not be charged International student fees. This difference can be huge, so take advantage of this if you really want to hone your skills. This will give you huge confidence and you will be able to land your dream job. Also note that Australian citizens get Government help in their higher education. So, if you plan to go to University later when you become citizen, then you won’t need to pay fees if you qualify under income tests. You will start repayment once you reach the income level as desired by the program you were eligible under. Please lok for the details as this blog is for general guidance only. I will continue with the benefits in Part II of this blog. Meanwhile, please feel free to contact us for all your Australian visas/citizenship needs. We are starting to help students to move to Australia and opening our office in Chandigarh area soon so that you can meet us in person. Announcing Opening of Office in India!! We have been quite busy for last few months as we needed all the focus to focus on you! That’s right, YOU! We are soon going to open our office in India to cater to the needs of our valued clients who are mostly located in India. We want to provide the best service you always expect from us. So, look out for this space as we will be letting you know the city where we are planning to open our first office in India. We are very happy to announce that two very experienced professionals have become part of our journey. They have tons of experience in various fields in India and all of us will benefit immensely with their association. More exciting news regarding our tie-ups will be announced in near future. As always, feel free to comment below or email me directly if you have any questions. Which city is best for new migrants? This question gets asked quite often by the migrants – which is the best city to settle down in Australia? Now that I am on my business trip to India I get asked more of the same question. So, to make things easier for you I am writing this a small post today. My first recommendation is to look for the job even before you arrive in Australia. You should start browsing websites like seek.com.au or indeed.com.au to have a feel of what kinds of jobs are available and in which cities. The second recommendation is to make a great LinkedIn profile and start networking with people in your field. Just don’t start asking for favours straightaway. Invest some time there. Your honesty and sincerity will yield results, just be patient and positive. The third recommendation is to come and explore Australia for two weeks at least. Go out and meet with recruiters, show them that you are confident and will be a good fit for any company they recommend you to. Making good first impression matters a lot. Also, go make cold calls by visiting some companies you are interested in working with. But do your home work first. Now, if you have done some research as per above, hopefully you will not ask the question you asked in the first place. But just to answer the question above simply, the jobs are more in bigger cities. Therefore, Sydney, Melbourne, Brisbane are the top three cities for new migrants to start exploring the jobs when they first arrive in Australia. Please feel free to ask any questions or comments below. Have a very Bright Future! Trump has delivered what he promised during his election but what it means is that more than 800,000 young women/men (8,000 Indians) will face uncertain futures as their DACA (Deferred Action for Childhood Arrivals) status will not be renewed going forward. Congress has to legislate to fix this issue but looking at what Congress has been achieved in past two decades, these people have been put on edge. These “undocumented” people were given a relief in the form of DACA by Obama administration’s executive order (only temporary fix but it could have continued in the same form but Trump decided to phase it out as per his election promise) and they were planning their futures in USA and doing all the right things but now this has shattered their dreams as they don’t know what has future in store for them. These people have called USA their homes and it’s not their fault that they have lived most of their childhood in USA and don’t know much about their native country as they never went back there. Technically they are illegals but they are law-abiding people who have big dreams of making it big in USA. They deserve a chance and DACA had given that window of hope to them but the door has been closed on their faces. I will like to point out that the kids of legal migrants face issues of a different kind and that should also be resolved by the administration. I personally know many Indian migrants who are stuck in USA on H1Bs for years (5-15 years average) and after their children become 18 years of age, they no longer qualify to be put on their parents temporary visas. Hence, they have to apply for their own student visas and I think they also have to qualify independently for Green Card application. This is really very stressful for those who have given 10-15 years to USA but their children are left out just because it takes more than 10-15 years for Indians to get their Green cards when people from other countries (including Pakistan, Sri Lanka, Bagladesh etc.) get theirs much sooner. Best wishes for your Bright Future!! Please post your comments below and subscribe to our blog to get our newsletter directly to your inbox. Also, visit our Facebook page latest on Australian immigration/lifestyle. Please contact us for free assessment of your case for obtaining an Australian visa. High Earners – Should They Move To Australia? Sorry, I have been away for a long time as I was busy on different projects and I was getting emails as to why I have not posted here in a while. Someone posted a question on Quora which is very relevant to those who earn a higher income and they think whether it’s worth it to migrate to Australia. Many people have answered there and I also wrote my views there. I am providing the link here so that you can also read other people views because it is important that you should listen to everyone and do what is best for you. And here is exactly, what I have written there for you to read directly. Seek More Info. : Now, many people have already answered here and no answer is a wrong one because everyone is entitled to his or her own opinion. Nobody knows what future has in store for them but we can definitely make informed and educated decisions by asking right people who have gone through the same process, which you plan to do yourself, and this potentially has power to make your future brighter. Gather as much information as you can and from as many sources as possible but learn to ‘process’ that data to benefit you. Importantly, in your case come visit Australia for a few weeks (which may not be enough as there is so much to do and see over here). Utilise that time to meet people/immigrants and research about your profession and networking with recruiters. No Wrong Answers here : The question you have asked is about quality of life in Australia and whether you will be able to earn Indian rupee 50 lakhs (INR 5 million which is equivalent to AU$ 100,000 roughly as of now) in Australia. This question has many answers and that’s why you can see some people are saying ‘never’ and some are saying ‘definitely’. Now, we don’t know what exact ‘quality’ of life you are looking for but broadly speaking any western world has better quality of life than India. But there is always a balancing factor – you may not enjoy your ‘social’ life here (which I disagree with personally), miss family and friends etc. Earning potential: It depends on your profession and your actual abilities and most importantly on your soft skills. Initially, you may not get any job, leave alone in your field. You need to research thoroughly about the job market before moving to Australia, talk to friends who are already here and get to know the real job market and try to network with people in your profession by opening LinkedIn account. Go to SEEK – Australia’s no. 1 jobs, employment, career and recruitment site daily and make it a daily habit of going through the job listings. Remember, not all those jobs are real and not all jobs are posted online. That’s why I said earlier to network with people and hence my point about LinkedIn. Save and then come: I recommend my clients to come to Australia with savings that will see them through for six to twelve months. Some people recommend coming alone, personally I do not like the idea as you should have family by your side but if financially it’s difficult then it is a good option. Now, to complete the discussion about your earning potential, even with the basic job you will get here a salary that you will be living a life comparable to what middle class is enjoying in India. Quick Growth: Your employer will appreciate your hard work and dedication towards your job and within two to three years’time you may be able to earn much more by switching jobs if your employer is not suitably rewarding you and now that you have local experience. From there only sky is the limit. Mind you, the initial 3–6 months time is going to be very hard and you may go through the remorse phase that why did I leave India, what was I thinking. People may try to discourage you but listen to yourself and be confident about your abilities. Quality of life: What matters you? If you want to know more about quality of life in Australia, as someone said here, there is no comparison between major cities of India and Australia. Delhi is one of the worst polluted cities in the world and every third person has or developing some form of lung disease due to constant exposure to pollutants. The other cities are not that far behind with cities like Mumbai, Kolkata and even Kanpur, Ludhiana and many more also featuring in this most polluted cities of the world. Personally, for me these things are very important – cleaner air/water/ food and entitlement to peaceful living if I am not doing anything wrong. I don’t like to go to people to get my my licence/passport /hospital and school admission. Can you believe it, even to get money from banks you need ‘connections’ but not to be harsh, that was an aberration. Why you should NOT move to Australia: If you don’t like pristine beaches, fresh air, work life balance, then yes, Australia is not for you. If you don’t like your kids learning life skills and be confident, and not be book worms, then Australia is not for you. If you like to call your boss ‘sir’, and expect same from your juniors, then Australia is not for you. If you have to dislike taking your kids to cricket practice sessions on Tuesdays, soccer on Fridays, and swimming twice a week, then Australia is not for you. Also, if you don’t like to go on beautiful drives every weekend and in stead, you like to be a couch potato, then yes, Australia is not for you. You get the picture, don’t you? We all love India: Don’t get me wrong, I love India and always will. I look forward to going to India and enjoy my time over there and connect to my friends and family. I was in USA in 2011, when I watched the cricket world cup games. I remember the Final game in Wankhade Stadium very clearly as it happened yesterday and so proud of that moment when India won the World Cup. I used to not sleep for a minute and watch the Indian games live so that I could help India win ;). You know that superstition which cricketers follow? Same way as Sachin would not take off his pads! I follow Indian politics, sports and developmental stories, it makes me happy to see that India is marching ahead on it’s path to become a developed country. USA or Australia: Let me reiterate you the obvious now : Australia is best for young families and also for families with teenagers, just go Google. I have lived in USA for more than 5 years but decided move when realised that it may take up to 30 years to get American green card, and another 5 years to get the citizenship. USA is a great country and I loved my time there. I strongly suggest that if someone gets a chance to work and live in USA grab that opportunity and experience life there. Only after you have lived there that you will understand what I am going to say now. Gun Related Violence in USA: The gun culture is rampant in USA and every day people get killed due to gun related violence. I am not talking about mass killings which get wide coverage in the media but accidents that happen every day. Just Google how many people get killed every year in USA ( it is more than 12,000) . After Sandy Hook Elementary School shootings in 2012 where 28 people were killed mainly 4–5 years old, I was seriously worried about safety of my kids. Social Divide: The social divide is very glaring, rich is becoming richer and poor more poorer. On one side we have $1 billion home of Mr Ambani and on the other millions of people go to bed hungry every day. In my opinion that’s a very big problem because this is already resulting in spike in crime rates. Australia is very good at dividing the wealth and hence you will not insane amount of millionaires but you will also not find that many homeless people here. Getting First Job in Australia: Having said that, Australia is not a perfect place in the world. No place is! But it gave me freedom to pursue my dreams. People whinge that jobs are scarce here and they may be right but please note that Australia may be a big country – almost as big as USA but population not even 10% of USA. So, naturally the job market is much smaller. With right attitude and good strategy, you can land a job here and grow much quicker than in India. I got my job within one month after I started to look for job in my field. I personally know 4–5 families who migrated at the same time as I did and we used to live in the same apartment building. We would help each other with helpful piece of information in landing our first jobs. I am glad to let you know that all of us got jobs sooner than we were expecting, but that may be exception as I do meet people who are frustrated of not getting jobs. We are still in touch and enjoying our lives in here Australia, some changed jobs because they got better offers. Money Not Sole Factor: Again, if you are looking for only money then Australia is not for you. It doesn’t mean that you won’t get rich here if you worked hard. Australia is for those who treasure their time with family and friends and want to enjoy great outdoors and sports all year around. Everyone gets at least 4 weeks of annual leave and 2 weeks of medical leave, whereas there is ZERO mandated leave days in USA. Even India is much better than USA. Your employer contributes 9.5% of salary towards your retirement fund (called Super here, which you call provident fund in India and 401k in USA) on TOP of your salary. Racism: I have personally never experienced racism either in USA or here in Australia. On the contrary, people have shown their appreciation to the fact that my family is nicely assimilated in the local community. Don’t try to live in Indian dominated suburbs and make a bubble for yourself. Go out, talk to strangers, invite over your neighbours. The mantra is try to blend in and not stick out like a sore thumb. Volunteer and help make Australia better which has given you a chance to change the destiny of not only your life but your kids too. My recommendation : come visit Australia and experience the life Down under for yourself. It’s a beautiful country with great people and excellent sports facilities which will inspire you to be fit and healthy. Open spaces, great parks, sports training centres in close proximity to wherever you decide to live. That’s why Australia ranks much higher than USA when you compare per capita Olympics medals. Top 4 for 2016 Rio Olympics – Grenada, Bahamas, Jamaica, New Zealand, Australia at 14 and USA at 43. I compare Australia with USA because I have lived there and for most people USA is no. 1 destination. Most important question: First of all, check whether you qualify to apply for an Australian visa. Rules are changing everyday and occupations are being removed as all western countries are making it harder to qualify. Australia has made some changes to 457 visas and even getting Australian citizenship is under revamp and the bar will be set higher. I am afraid but I think next target may be the Australian Permanent Residency (PR) system and come July 1, some occupations may be axed. This is just a speculation but subscribe to my blog below to get the latest on this. To sum up, I strongly recommend to those who are considering moving to Australia to act before it is too late. If you are seeking professional help, always hire MARA agents only because Department of Immigration regulates their conduct and MARA agents have to follow strict guidelines or else they risk losing their licences. If anyone need help regarding Australian immigration, I can assess your case for free. This topic keeps coming up as many migrants (and also some Americans!) who don’t want to live in USA after Trump became the President, as the tension has been growing there and life on temporary visas has become very stressful. At least two Indians have been shot there recently as they were yelled at to go back to their home country. But for so many, USA is their home and they can not think about going to any other place. And for those who are relatively new and still waiting for the Green Card (GC) it is an eye-opener experience as it may take up to a decade before they get their GCs. So, for those who relatively new in USA or for those who are still in their home country but thinking about their next move, here is my most valuable recommendation: Get a permanent visa whether it is USA GC or Canadian/Australian Permanent Residency(PR). That secures your family’s future as a bird in hand is twice as worth, unless of course you just want a short stint in a foreign country for a different experience or $$$. Regarding USA, I lived there for 7 years on temporary visas. It’s a long wait for Green Card (GC) over there. I am still in queue for that elusive GC but it may still take 10 more years! So, unless one gets GC quickly there, I don’t recommend USA for Indians only due to excruciating wait for the GC. The fastest route for USA GC is the spouse visa route and that’s a personal decision. USA is going through a rough phase right now after Trump and Indians are not feeling safe there but that can be anywhere in the world in future. Canada can be a good option because of getting that one year after studies (the period can be more depending on the course undertaken). I recommend a course which will help in getting Canadian Permanent Residency (PR). The proximity to USA is the biggest draw for Indians as because of NAFTA agreement, they can easily work in USA after getting Canadian citizenship. The biggest issue with Canada is the weather. It is very dark, gloomy and cold in the east coast for most part of the year but it is heaven in those 2-3 months of summer. Vancouver on the west coast is more pleasant and it’s really very beautiful in summer but the trade-off is mostly rainy season for the rest of the year. I moved to Australia in 2014 with my young family and we love it here mainly because of the weather and work life balance. It’s nice and warm all year round and we love outdoors. So, going on the pristine beaches, nice kids parks and in nature is a routine for us. We feel that the lifestyle is more relaxed here in Australia, with their mandated 4 weeks annual leave and 2 weeks medical leave compared to zero in USA! USA is the only developed country in the world where employees are left on their own to negotiate their leave with their employers with minimum wages being not even half of Australia. Go figure why Americans are so stressed out all the time which shows in the number of gun related killings. After you get Australian citizenship, you also have the option of working in USA on E3 visa just as Canadians have NAFTA agreement with USA. The E3 visa is almost like H1b visa but the requirements are not that stringent and the quota of E3 visa has never reached since its inception and also the fees are lower. I keep saying that migration is a very personal choice and it is up to the person’s liking as to what s/he is looking to achieve by settling in a new country. It is the most important decision after marriage, in my personal opinion.So, think about all the factors and then make an educated decision as this decision will have life long implications. Queensland (QLD) is the second biggest state of Australia (behind Western Australia) with total area of 1,852,642 km², and it is the third most populous state behind NSW and Victoria with a population of approximately 5 million. India’s biggest state is Rajasthan with an area of 342,239 km², so QLD is approximately 5.5 times bigger than Rajasthan and to really drill down this fact get this – QLD is bigger than combined areas of top 7 biggest states of India viz. Rajasthan, MP, Maharashtra, UP, J&K, Gujarat and Karnataka!! Gold Coast is the entertainment capital of Australia and the region attracts almost 12 million visitors every year. Gold Coast is hosting 2018 Commonwealth Games. It is expected that over 6,600 athletes and team officials from 70 nations and territories will converge on the Gold Coast for an 11 day sporting and cultural event. 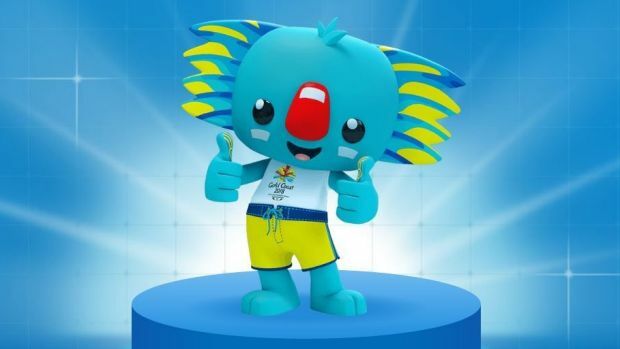 Borobi the blue koala has been announced as the official mascot for the 2018 Gold Coast Commonwealth Games. As you all know by now that we are in Southern hemisphere and hence summer is from December to February with an average temperature of 19 – 29 degrees Celsius (66 to 83 degrees Fahrenheit). Winter is from June to August with an average temperature of 9 – 21 degrees Celsius (48 to 69 Fahrenheit). The subtropical climate with an average water temperature of 22 degrees encourages an outdoor lifestyle anytime of the year. That’s what makes enjoying beautiful, pristine beaches of Queensland even more fun all year-round. As Queensland is such a big state and it is full of natural beauty, the biggest problem for you will be to decide which places to visit and which ones to skip! BTW, that is always an issue with Australia. But the one you can not afford to miss from Queensland list (in fact from Australia) is one and only the Great Barrier Reef. The Great Barrier Reef, off the coast of Queensland in northeastern Australia, is the largest living thing on Earth, and even visible from outer space. The 2,300km-long ecosystem comprises thousands of reefs and hundreds of islands made of over 600 types of hard and soft coral. It’s home to countless species of colourful fish, molluscs and starfish, plus turtles, dolphins and sharks. Please read here for more beautiful pictures of Australia. You like beaches and seen many around NSW, Victoria? Sorry, but you haven’t seen anything like Whitehaven Beach! I promise you that you will not like to leave this place! Then there is Lake McKanzie on Fraser Island. What is Fraser Island, you ask? Fraser Island is one of the world’s most unusual islands. Not only is it the largest sand island in the world – 123 kilometres (76 miles) long and 22 kilometres (14 miles) wide – but it’s the only place on Earth where tall rainforests grow on sand dunes at elevations of more than 200 metres (656 feet). It also has half the world’s perched lakes – lakes formed when depressions in dunes fill permanently with rainwater. There is no other place like Fraser Island in the world. Then you have Surfer’s Paradise Beach – which many claim the best beach in Australia while some claim it is Noosa Main Beach! So, as you can see you are spoilt for choice here, really! Oh, what a place! There are so many national parks, which I have noticed are free to enter whereas you need to pay for that in NSW. Please correct me if I am wrong. As I said in my last post too – the most important thing for a new immigrant is to get the job of your choice and for that Sydney and Melbourne are the two recommended cities of Australia when it comes to job openings. If you are looking for IT related, financial sector, and healthcare related jobs then your preferred hunting grounds should be either Sydney or Melbourne. There are mining related jobs in Queensland but that is on decline but there are some jobs to be had in hospitality sector, healthcare, accounting etc. but of course, you need to do your thorough research about your field. We offer our clients handy tips to land jobs when they move to Australia based on personal experiences of people around us who successfully got jobs sooner rather than later. But please remember that we are NOT recruiters, hence we do not guarantee any jobs. Please post your comments below and subscribe to our blog to get our newsletter directly to your inbox. Also, please visit our Facebook page latest on Australian immigration/lifestyle. Victoria is the most densely and second most populous state after NSW of Australia. It is also the smallest mainland state (237,629 km²) of Australia (Tasmania is the smallest state of Australia but it is an island state – I will write about Tasmania in this ‘Explore Australia’ series in future). But don’t go by the fact that Victoria is the smallest mainland state of Australia as it is almost as big as Uttar Pradesh (the fourth biggest state of India with a total area of 240,928 km²) and it is almost five times bigger than Punjab! And incidentally, Victoria is also number one destination for Indians. Not only this but Victoria also attracts most number of inter-state movers mainly due to the fact that Melbourne’s housing is cheaper than Sydney’s. That brings us to Melbourne – one of the most liveable cities in the world. Melbourne is the second largest city of Australia and has a diverse multicultural population with almost 25% of its population born overseas and the city is home to residents from 180 countries, who speak over 233 languages and dialects and follow 116 religious faiths. It has been ranked most liveable city in the world sixth time in a row. The rivalry between Sydney residents and Melbourne residents is well known with both claiming that they are the best city of Australia. I will leave that to them to continue their fight while we enjoy the best of both the cities. But there is no doubt that the cafes in Melbourne are one of the best in the world. Melbourne is undoubtedly the sports capital of Australia where you have public holiday for a horse race! Melbourne Cricket Ground (MCG) iconic image comes to mind when you talk about cricket in Australia but guess what cricket is not their most favourite sports, Australian Rules Football is! In fact, cricket comes at distance six when you take popularity in the context of number of people attending! Cricket is played only in summer months and as sports popularity is also very regional here in Australia. So, I leave this topic here as this can be a controversial subject. Now, coming back to the original topic of exploring Victoria, well as it is with all other states that there is so much for everyone that it is so difficult to choose what to see and what to skip. So, whenever you come here, give yourself extra time as you may encounter a surprise at any corner. There is food, nightlife and wine culture with Yarra valley world famous wineries. There is plethora of nature and wildlife to explore. You mention Australia and Kangaroo is the first thing that comes to mind but there are all sorts of interesting animals here like do you know about Platypus which actually has sixth sense. But do you know you can see Penguins here in Victoria? Yes, Phillip Island is home to one of the world’s largest colonies of the world’s smallest penguins, and this experience is something you don’t want to miss. There is plenty of culture and art scene going on here in Melbourne, there are so many points of interest and lookouts to enjoy the wonderful beauty of amazing Australia. And once you are in Melbourne, don’t forget to go on that scenic Great Ocean Road drive with some people claiming this to be the most beautiful spot of Australia. Lots of Indian movies have also been shot here with “Salaam Namaste” to be the one which comes to mind straightaway. As I said in my last post – the most important thing for a new immigrant is to get the job of your choice and Melbourne is no. 2 city of Australia when it comes to job openings. This is the reason Melbourne is the second most populous city of Australia. If you are looking for IT related, financial sector, and healthcare related jobs then your preferred hunting grounds should be either Sydney or Melbourne but of course, you need to do your thorough research about your field. Ajeet on High Earners – Should They Move To Australia? Ridhi Gilhotra on High Earners – Should They Move To Australia? Bright Future Advisory Pty Ltd is an independent migration firm which is not associated in any way with the Australian Department of Immigration and Border Protection (DIBP). Information on this website does not constitute personal migration advice. For an assessment of your unique personal situation, please call and talk to us.